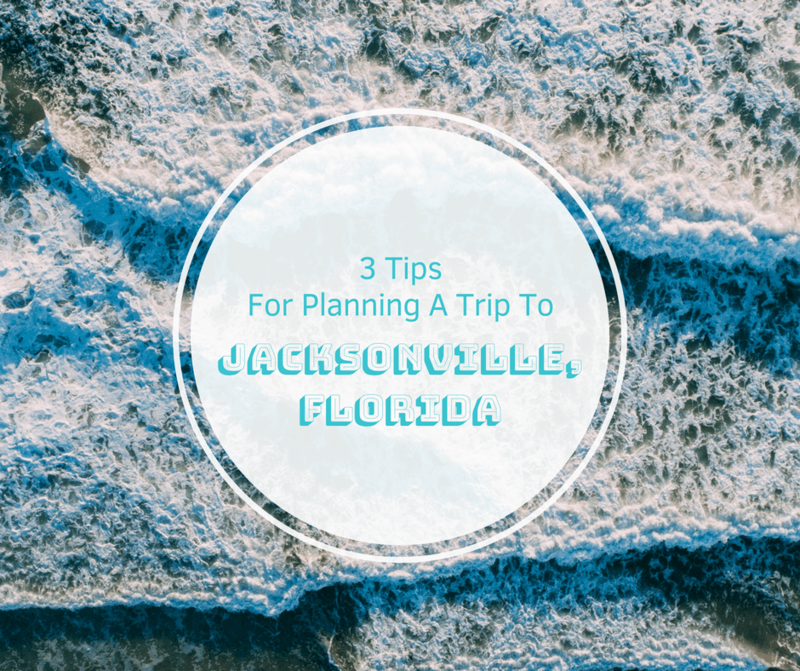 Planning a trip to Jacksonville, Florida doesn’t have to be hard. In this post, we offer three tips to ensure you hit the ground running and make the most of your time in this great city. Jacksonville, Florida, is located in the panhandle of the state and doesn’t seem to get as much attention as other popular cities. Yet it’s a lovely place to vacation to get cozy on the barrier island beaches or take in a round of golf at TPC Sawgrass, the headquarters of the PGA Tour. To get the most out of your vacation, you’ll want to plan ahead so you’ll know where and when you want to go, what you want to do, and how much time you need to do it. Jacksonville’s location in the northern half of the state means it doesn’t get as hot as it does farther south, but it also gets cooler in the winter. The best times to visit are March through June and late August until early December. Temperatures during the months of December through February don’t get much above 67 degrees Fahrenheit. You probably won’t want to come to town for the beaches during the winter, but it’s warm enough to do other interesting things. There are quite a few spectator sports to watch in Jacksonville including the Jacksonville Jaguars of the NFL. They play at EverBank Field, and there are several great hotels nearby in case you want to come from out of town to see the Jaguars play. If you want more than football, there’s always PGA golf. The Players Championship is held at Ponte Vedra Beach and offers one of the largest prizes in the sport. It attracts the big-name golfers every year who play on one of the most challenging courses, TPC at Sawgrass. This course is home to the famous island green, a par-3 hole where players have to land the ball on an island in two shots. Many other spectator sports call Jacksonville home including a Rugby League team known as the Jacksonville Axemen. There’s also a soccer team called the Jacksonville Armada FC. Small basketball and ice hockey teams from local associations round out the roster of sports and are enough to keep any spectator satisfied. Outdoor activities in Jacksonville are just about everywhere. We even have a post all about outdoor activities in Jacksonville! You’ll have the challenge of figuring out which ones you want to do the most. Do you want to kayak on the Gulf, or do you want to explore some of the 80,000 acres of urban parks? You can hike, bike, explore, experience, and simply enjoy some of the most beautiful scenery Florida has to offer without even leaving town. Some parks focus on history, like Fort George Island, while the Timucuan Ecological & Historic Preserve encompasses the native flora and fauna of Jacksonville. You may have a tough time figuring out what you have enough time to see and do while visiting Jacksonville. Plan carefully, call your intended destinations to find out how much time you’ll need, and stay in a hotel that’s near everything – so you spend less time commuting and more time enjoying. You have your logistics down Buddy. Neat how Jacksonville is off the beaten path. I rarely see travel bloggers cover the city or the Panhandle for that matter. Perfect for me. Off the path spots are the best places in my experience; more genuine. This caught my eye because we are over in Gainesville, pretty close. We have been to Jacksonville multiple times for sporting events. FL/GA game, Jags games. Monster Jam (not kidding). There are some fun restaurants and the beach is close.